If you ever sit-in on a staff meeting or listen to Joe speak to a counselor you’ll hear the following phrase: “It’s all about the kids.” He must say it at least once a day. This isn’t just a fun rallying cry; it’s a way of thinking. And it influences how we approach just about everything here at camp. We work year-round to shape our programs, our schedules and our staff to reflect the simple reality that camp revolves around happy campers, and nothing else. 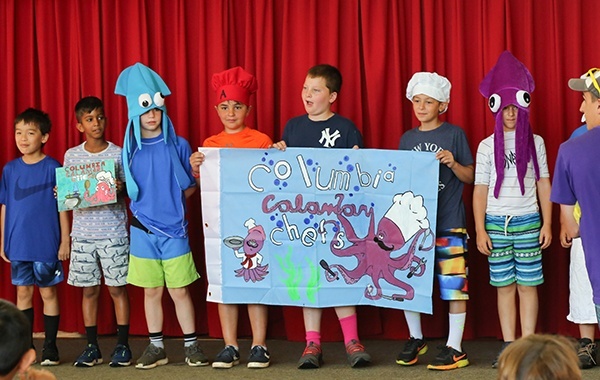 We have 26 groups at Camp Nabby, each one named after a college or university. Why? Well, when Frank Bertino took over in 1970, after being a coach and teacher for 44 years, I guess you could say that he had student-athletes on the brain. Anyway, the names stuck and we’ve kept them the same ever since. Each group has an assigned schedule to ensure equal parts athletics and creative group activities. Throughout a regular camp day, counselors will determine the best use of field space and designated play areas; the staff is encouraged to mix things up to keep campers active and engaged.